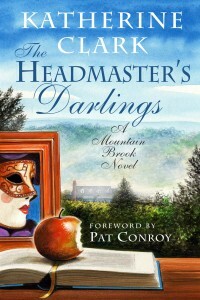 Patti Callahan Henry interviews first-time novelist of The Headmaster’s Darlings: A Mountain Brook Novel about writing honestly when it comes to real-life places, people and memories. Patti Callahan Henry and Katherine Clark both live in Mountain Brook, Alabama, a suburb of Birmingham known for its affluence and wealth. Clark is a native, while Henry is a more recent resident. 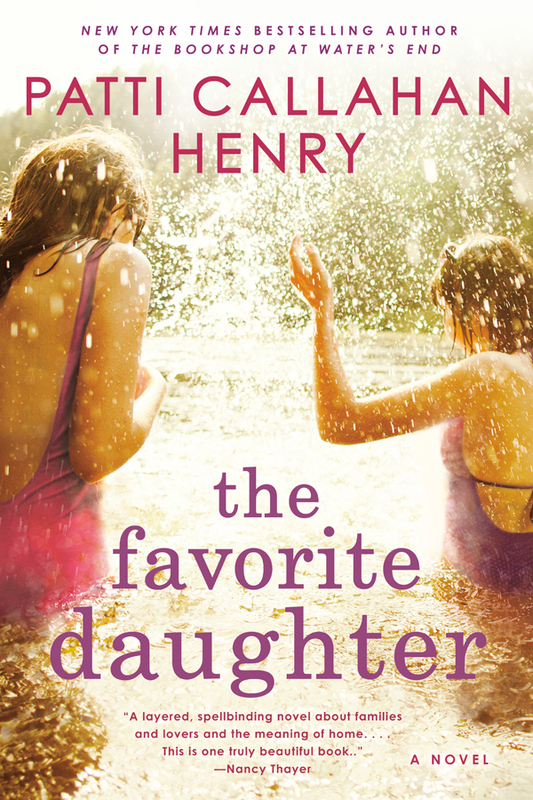 “As a newcomer living in Mountain Brook, I was fascinated with the community I never really knew (as depicted in the 1980s) and the characters who inhabited its genteel world,” says Henry, whose latest book is The Idea of Love. Clark’s debut novel The Headmaster’s Darlings is the first in a series of novels about Mountain Brook published by Pat Conroy-helmed Story River Books (and one of our fall/winter reads). The man Henry is referring to is private school headmaster Norman Laney, a character inspired by Clark’s mentor and former Altamont School headmaster the late Martin Hames. An unorthodox, inspirational English teacher and college counselor for an elite private school in Mountain Brook, Laney is morbidly obese and in danger of losing his job. When he is summoned to the principal’s office one day, he expects to be congratulated for a recent public-relations triumph. Instead, his letter of resignation is demanded with no explanation given. Faced with an ultimatum and his imminent dismissal, Laney must outflank the principal at his own underhanded game, find out who said what about him and why, and launch his current crop of Alabama students into the wider world — or at least into Ivy League colleges. 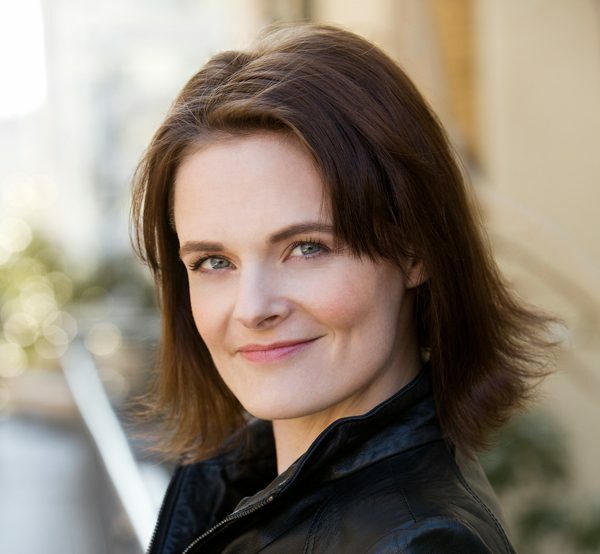 In her interview, Henry talks with Clark about crafting a character from her larger-than-life mentor, the dangers of writing about home and working on an oral biography of Pat Conroy. PCH: You had previously written two nonfiction books: one about Eugene Walter, Milking the Moon: A Southerner’s Story of Life on this Planet and also one about an African American midwife, Onnie Lee Logan, Motherwit: An Alabama’s Midwife’s Story. So why fictionalize this one when it is inspired by a real man, a man who influenced your life in so many ways? KC: I’ve always wanted to write fiction. That’s been my avocation ever since I read my first work of fiction in first grade. But along the way, I was lucky to cross paths with two Southern characters and raconteurs whose life stories I captured on tape and edited into narratives. Working with Onnie Lee Logan and with Eugene Walter were incredible experiences, each time a master class in the art of storytelling. I actually wanted to tape-record Martin Hames and edit his story into a narrative because he was just as much a character and raconteur as the other two. But he passed away before that project could get off the ground. I was not interested in doing a scholarly or academic book, so it seemed that life was prodding me into finally writing that novel — and what has since become at least four novels. PCH: You have an exquisite eye for detail and a keen understanding of internal motivation. “… Norman’s atrocious eating habits and table manners were deliberately exaggerated to help him separate his friends from his enemies.” His weight alone seems to dominate who he is and how he acts. Martin Hames is a fascinating, larger-than-life character in both real life and in this novel. Pat Conroy has said that he had to tone down the brutal realities of his family’s story for his novel The Great Santini because the truth would have been too unbelievable even as fiction. Is that true in a way of Martin Hames as well? What aspects of the man did you feel you had to change to make his fictional counterpart Norman Laney a believable, sympathetic protagonist? How much did you remember of him to cast this character? KC: I remember lots about him, because he was one of those people who leave a huge and indelible imprint on your consciousness. Also, I was very close to him and believe I understood his internal workings to a fair degree. But where I needed to, I used imagination, since this is the prerogative of the fiction writer. However, I wanted my portrait of him to be a tribute to the real person, so wherever I used my imagination and fabricated details, I tried to remain true to his character. I did not tone down or change anything to make him more believable, because I wanted to show that he was literally unbelievable. He was a unique, one-of-a-kind original personality our community was lucky to have in its midst. I also wanted to emphasize his outrageousness as a way of showing how he constantly pushed the envelope in his society. He is a great protagonist for a first-time novelist to work with, because his character was so fascinating, complex and multi-faceted, there was no need to come up with a composite as is usually necessary in fiction. PCH: Pat’s foreword to The Headmaster’s Darlings is at once a love letter to the visual, tactile splendor of Mountain Brook and a critique of the ways in which any insulated community risks over-sheltering its population from the richness of a more robustly shared human experience. These themes continue through your novel. Did you have any reservations in writing so honestly about your community of Mountain Brook? KC: I had no reservations in writing honestly. I now have extreme nervousness about having written honestly. Something Pat Conroy said in one of our interviews for his oral biography applies to this situation. He said, “When I’m writing a novel, a form of idiocy takes over.” He was referring to The Great Santini and The Lords of Discipline, both novels in which he exposed closely guarded secrets, in one his father’s abuse of the family and in the other the hazing of freshmen at The Citadel. What he meant was, when you’re writing and trying to communicate something meaningful, you have to say “Damn the torpedoes!” but after you’ve written and your novel is out there, you watch with fear and trembling as your missiles seek their target. I did not expose closely guarded secrets, but I subjected my community to the withering gaze of a main character who finds much fault with it even while he very much enjoys living there. However, this first novel is set in 1983-84. Much that was true about the community then is no longer the case. Also, although the novel does not have a “villain,” the character who comes closest to being one is a non-Southerner. 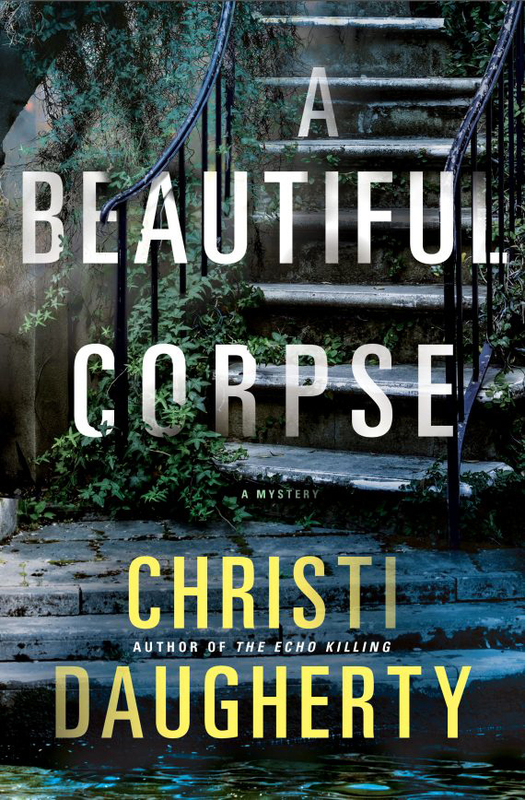 PCH: It is wonderful to know that there are more Mountain Brook novels coming. Can you tell us about the series, about how you are continuing this fascinating storyline? KC: One of the criticisms often leveled against the South is that it clings to the past and refuses to change or progress. I wanted to challenge this conventional wisdom about the South by taking one community I was very familiar with and showing how it can and has evolved over time. I also wanted to illustrate how great teachers and great schools can be an integral part of enlightening an entire community and helping it to progress. To accomplish this I needed more than one novel. I needed a series that begins back in time — in the 80s — and works its way up to the present day. I needed to trace the journeys of some of the students who go away to college, come back and begin living and working in ways different from previous generations. The idea for the series came when I was writing the first novel and realized I could not showcase the impact of the Martin Hames character in a single book. I had to trace his impact over time by following the fates of various students. While he is the main character in the first novel, he is a secondary character in the others. The second Mountain Brook novel is All the Governor’s Men, followed by its direct sequel The Harvard Bride, and then The Ex-Suicide, all from USC Press’s Story River Books imprint. PCH: There are many students and families in the novel, many “darlings.” And the character of Norman Laney influences all of them in different ways. Students change their ideas of art, where to go to college and who they want to be. He has a profound impact on the parents also — pushing them to see the wider world outside Mountain Brook. What is the legacy you believe Martin Hames left behind for his darlings? KC: Well, this is what’s taking me a series of novels to express … But if I had to boil it down to a few key concepts, it would be these. First, never ever simply accept the life that is handed to you or perhaps forced on you, no matter how attractive, comfortable and desirable that life appears. In order to fulfill yourself to the utmost, you much create your own life on your own terms. Second, always, always, always aspire. Never settle for what you know you can get or have, but always strive for what may be out of reach. Finally, and most importantly, become a civilized person, live a civilized life and hold your ground against the Barbarians. If you send generations of students into the world who adhere to these precepts, you have a recipe for change in any community, anywhere, anytime. PCH: I know you both lived in Mountain Brook and attended Altamont (the school fictionalized as Brook Haven in the novel) and that you deeply love both of these places. How did you balance a reverence for Mountain Brook with an examination of its shortcomings in your novel? KC: If I managed to do this, it is through the character Norman Laney. He loves living in Mountain Brook because it represents civilization to him, as opposed to the more blue-collar Alabama world he came from. He delights in the good food, good wine, good parties, conversation and storytelling he enjoys in his social life because these are all parts of leading what he calls a civilized existence. However, whenever he encounters conduct or attitudes he considers “barbaric,” he feels compelled to point it out and try to change it. Barbaric behavior could be anything from drinking cheap jug wine to committing an act of racism. PCH: Eudora Welty said “one place understood helps us understand all places better.” What do you hope your novels help the reader understand about all places and about the South in particular? KC: I think it was Marx who said that all societies contain the seeds of their own destruction. This is especially true of the South, because of its original sin of slavery. However, I think all societies contain the seeds of their own redemption and rejuvenation as well. So I wanted to show a community that, despite its limitations and flaws, harbored within itself the values and personalities necessary to lead it into the future. PCH: Fannie Flagg makes a cameo of sorts in your novel, by way of a story Norman Laney tells to a book club. She was a contemporary of Martin Hames. Are there other Hames’ “darlings” readers might know of and did any inspire characters in your novels? KC: Diane McWhorter, author of the Pulitzer Prize-winning Carry Me Home, a study of the Civil Rights Movement in Birmingham, was not a student of Martin Hames, but a graduate of the girls’ school Brooke Hill, which later merged with the boys school B.U.S. to form Altamont. She makes a kind of off-stage cameo appearance in the novel through a flashback in which the Martin Hames character recalls directing a private tour bus driver to park the bus (on a busy New York street) so he could run into Diane’s apartment building just to hug her neck. I was one of the students on that bus when this episode occurred in real life. The occasion was the college tour of Northeastern schools for Altamont juniors and seniors. Our New York schedule was already overcrowded, with visits to Columbia, Barnard and the Museum of Modern Art in one day. And of course we were behind schedule because of New York traffic. We could not believe it when Mr. Hames suddenly commanded the bus driver to “pull over just for a minute.” Not only were we pressed for time, but there was no place to pull over, as the driver pointed out in no uncertain terms. Mr. Hames replied, also in no uncertain terms, that the driver was being paid to drive where he was told. Mr. Hames won. The bus ended up halfway on a Manhattan sidewalk and halfway on the street, and it was there for almost an hour. This scene has always stuck in my mind, because it shows the lengths Mr. Hames would go to in order to extend his support and encouragement to someone. When he got back on the bus (finally) he told us about Diane’s work as a writer and a bit about her planned project on Birmingham, and said quite bluntly that she needed some support. We also learned that she was “living with” a man as opposed to being married to him. This was a concept I had not encountered growing up in Mountain Brook. For an aspiring writer like myself, it was fascinating to encounter this example of another Birmingham native living the life of a writer and planning to write about Birmingham. It’s also an example of the kinds of ways in which Mr. Hames really taught his students. And by the time I finally met Diane years later, she had just won the Pulitzer Prize for the book that I first caught a glimmer of on that bus parked precariously and illegally on a New York sidewalk. PCH: You’re also working on another nonfiction project. What an honor to be able to write the oral biography of Pat Conroy. I know I’m not alone in this, but his writing, his friendship and his personality have made an indelible impression on my life and on my own work. His stories have become part of the universal consciousness of what the South represents to so many. Tell us about this project with Pat Conroy. KC: To my great good fortune, Pat is a fan of my oral biography of Eugene Walter, Milking the Moon. Pat met Eugene and was glad for a book which captured and preserved his character. Over the years that Pat and I have become friends, it’s been a long-distance friendship conducted over the phone. One day he remarked that if I’d been tape-recording our conversations, I’d have enough material for a book. Well, Pat maybe should not have said that, because once he put it out there, I could not let such a great idea go to waste, especially because if anyone’s a great Southern character and raconteur, it’s Pat Conroy. So we tape-recorded an hour a day for about five months, and I’ve just finished editing the rough draft of the transcripts. That book is also forthcoming from USC Press.